The Claw Pendant is inspired by the arcade claw machine. Its claw-like form holds a gold mirror that is suspended around a silver crown mirrored light bulb. 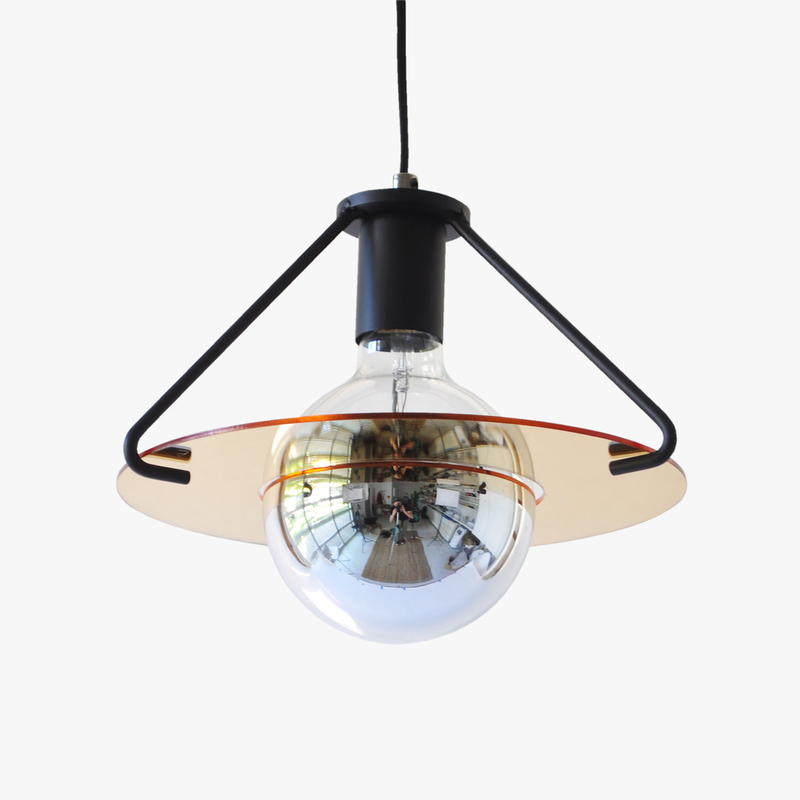 This allows for playful, interactions between the lightbulb and mirror.